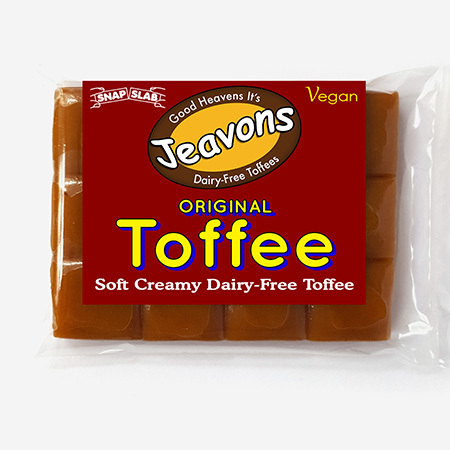 Vegan toffee, so rich and creamy, you won’t believe it’s not dairy! 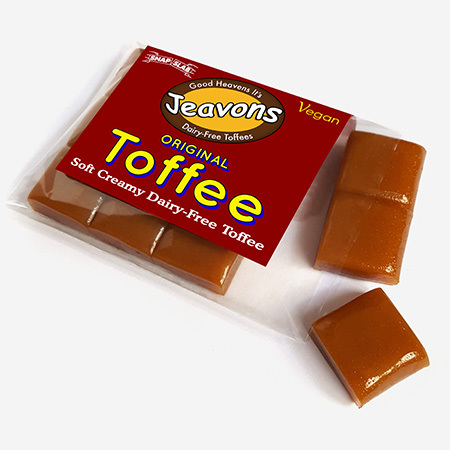 Our ‘Original’ toffee is a chewy creamy delight. Rich golden deliciousness that’s irresistible. Pan made in small batches to create the perfect traditional toffee taste (just a little softer to be kinder to your teeth!). Sold as a traditional slab, but with our unique ‘Snap Slab’ pre-cutting for easily snapping off chunks. 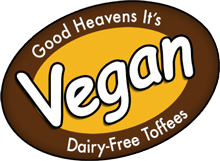 Unrefined Sugar, Glucose Syrup, Margarine (Sunflower Oil & Vegetable Oils), Soya Milk, Golden Syrup, Lecithin (Soya), Salt, Vanilla Extract.